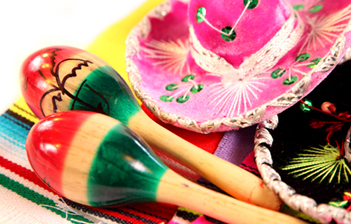 ANAHEIM, CA - (April 27, 2015) - Food, games, carnival rides and music will be part of the annual family-friendly Cinco de Mayo Fiesta and Carnival in Anaheim, taking place April 30 – May 3 at La Palma Park in Anaheim. The fiesta will feature free live entertainment on Saturday and Sunday. Vendor and food booths will be available for guests to enjoy. La Palma Park is located at the corner of Harbor Blvd. and La Palma Ave. The carnival will feature thrill rides for the older members of the family while also offering rides suitable for young attendees. Guests can play skill games for the chance to win a wide variety of prizes. Carnival rides and games: 5 p.m. -10 p.m.
Carnival rides and games: 5 p.m. – 11 p.m.
Food booths: Noon – 8 p.m.
Carnival rides and games: Noon – 11 p.m.
Entertainment: Noon – 7 p.m.
Soccer Tournament: Noon – 6 p.m.
Soccer Tournament: Noon – 7 p.m. Please call Anaheim Community Services at (714) 765-5191 for more information.